Whether you begin the day with a strong cup of coffee, a quick bowl or cornflakes, or continental style yoghurt, most of us couldn’t imagine sitting down for breakfast without some form of milk on the menu. 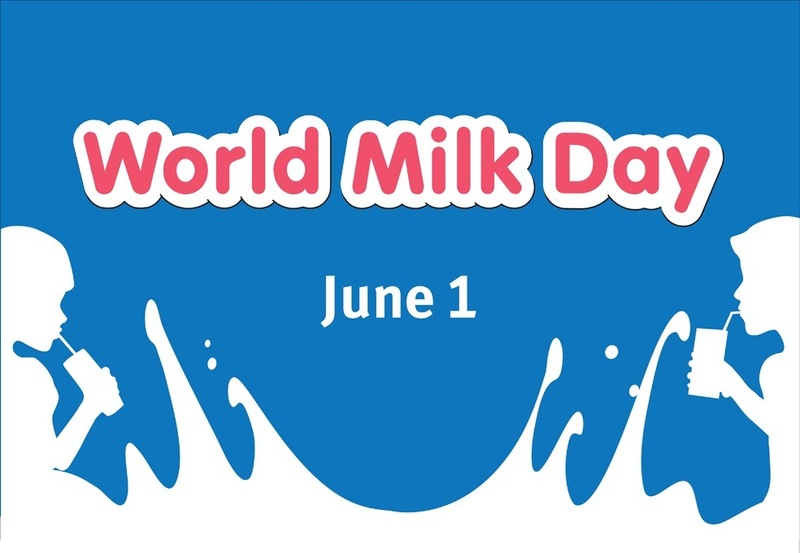 Today is officially World Milk Day – and, to celebrate, we’ve compiled a list of our favourite reasons to enjoy one of the staple contents of your fridge. Drinking milk will make you feel fuller for longer – so you’ll be less inclined to snack and over-eat throughout the day. Recent clinical trials have also found a strong correlation between increased calcium intake, body fat percentage and waist size. A daily glass of milk will give your body an added boost of calcium, vitamins and potassium, making it a vital part of a healthy diet. Cows’ milk is also one of the richest sources of iodine in the world, and is an essential nutrient for brain development. For anyone worried about dental health or hygiene – just drink more milk! Milk is known to reduce the level of acidity in the mouth, combat plaque formation and reduce the risk of cavities. Healthy teeth, here we come! A diet which includes plenty of milk can protect against kidney stones. This is because the calcium in milk can bind to oxalates in food – so they can’t be absorbed by the body. In turn, this will reduce the risk of your body developing kidney stones. If you need any more encouragement to add some more milk to your porridge, it’s also known to improve the appearance and texture of your skin, thanks to vitamins A and D. Lastly, the amino acids found within milk will moisturise your skin – so it looks smooth, soft and flawless.